From lamps for little kids to lamps for big kids! Sydney lighting designer Simon Goldstein is the mastermind behind Electric Firefly Design and Creation. Along with partner-in-crime Josh Liebmann, Simon creates hip lighting solutions inspired by the patterns of nature. These lamps would make a fantastic table centrepiece at a wedding reception or special event, or simply as a cool bedside lamp. They can also be hung as pendant lighting - cool above a dining table and stunning in an entrance. Electric Firefly lighting is available in four organic designs - Daisy, Orbital, Nimbus and Sol - and a range of colours. 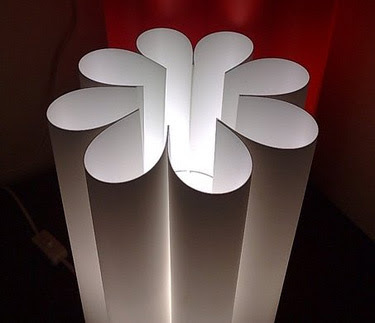 Even better, the lamps are produced using eco-friendly materials - 30-50% recycled Australian-made polymer that is non-reactive, non-toxic, with no plasticisers, chlorine, leachable components or heavy metals used in the finished product or during manufacture. 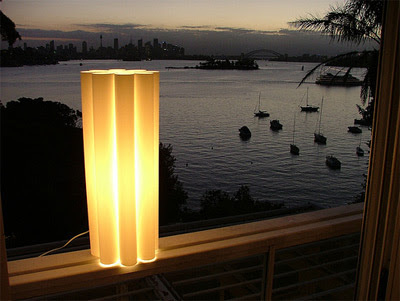 You can find Electric Firefly lighting in the online shop as well as at stockists around Australia and Hong Kong. For more images of Electric Firefly designs check out the Flickr photostream. Get all the inside info from the Facebook Fan page. Hi Steph! This is the 'partner-in-crime' Josh. Great post - you seemed to have covered it all. The only thing i'll add is that we can be found every weekend at the Rocks Markets and the occasional weekend in Canberra at the Old Bus Depot Markets. People can find out exactly where we'll be making an appearance by joining the EFDC Facebook page or following us on Twitter. Josh, you are very welcome and thanks for all the extra details. Bo, I'm so excited to have the US First Dog visiting Bondville! Glad you like - maybe you can put in a good word to the big guy to install some Electric Firefly in the White House? 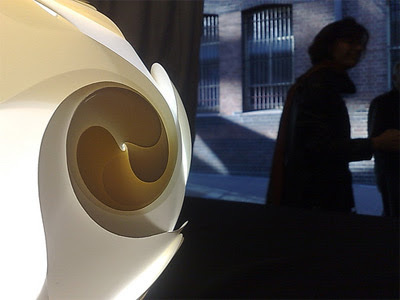 Electric Firefly Lighting Design sure have some beautiful organic lamp creations. I really like their take on illuminating devices, and can just visualise that cylindrical lamp hanging in my reception area. Thank you for making us aware of their offerings. I am going to head over to their website to have a better look at what they have to offer. Hi Steph - just saw this post and the bottom on your most recent post - small world - Josh Liebmann is my brother! My house is littered with these lamps!